The Indus Civilisation flourished in part of the Indian Subcontinent during the Bronze Age. It was a complex urban civilisation, with a writing system, still undeciphered. It is also famous for its sophisticated handicrafts, painted pottery, stoneware, steatite and semiprecious beads, faience and metalwork, which were traded to long distances across the Persian Gulf and the Arabian Sea. Nevertheless chipped stone technology and flint artefacts production still represented important aspects of the economic system, especially in connection with specialised craft productions, which led to an intensive exploitation of the flint raw material sources of the Rohri Hills, in Upper Sindh. 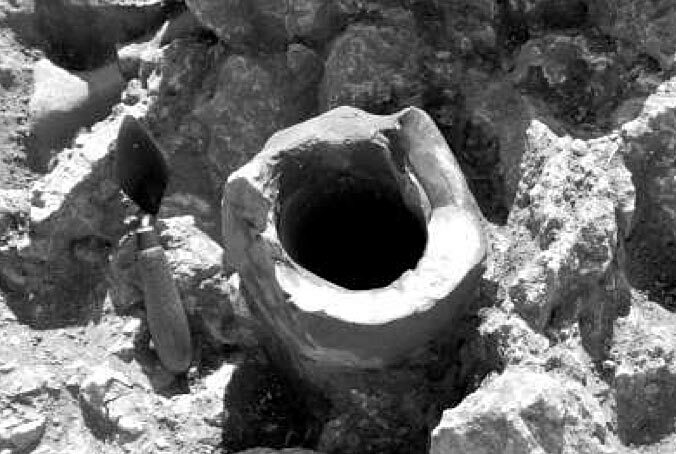 Here thousands of flint mines were exploited for a mass production of blades and bladelets, which were later transformed into sophisticated micro-drill points in the craft activity areas of the cities, where they are found in association with semiprecious stone bead making workshops. This paper analyses the complexity of the lithic production of the Indus Civilisation. It describes the technology and methods of production of such blades, according to the evidence collected during several years of research carried out in the Rohri Hills. Here, besides the mines, a good number of flint knapping workshops were excavated by the Italo-Pakistani expedition. The analytical study of the lithic assemblages recovered from these excavations and the experimental reproduction of the debitage sequence, favoured the reconstruction of the techniques and the methods of the Indus flint working.